Show of hands! ● How many freelancers in the house? ● How many have built their own website? ● How many build websites for other freelancers? View Websites for freelancers 101. All the questions you should ask yourself before building your own website. on Notist. Ten years ago, when you started a business, the first thing you took care of was making business cards. Today your first thought goes to a website. Often freelancers create their websites without a clear plan. It’s true that WordPress makes it relatively easy to build a website on your own, but it’s a good/recommended practice to start such a project by asking yourself some questions before embarking in this adventure. What information is useful to your readers? What is worthless? 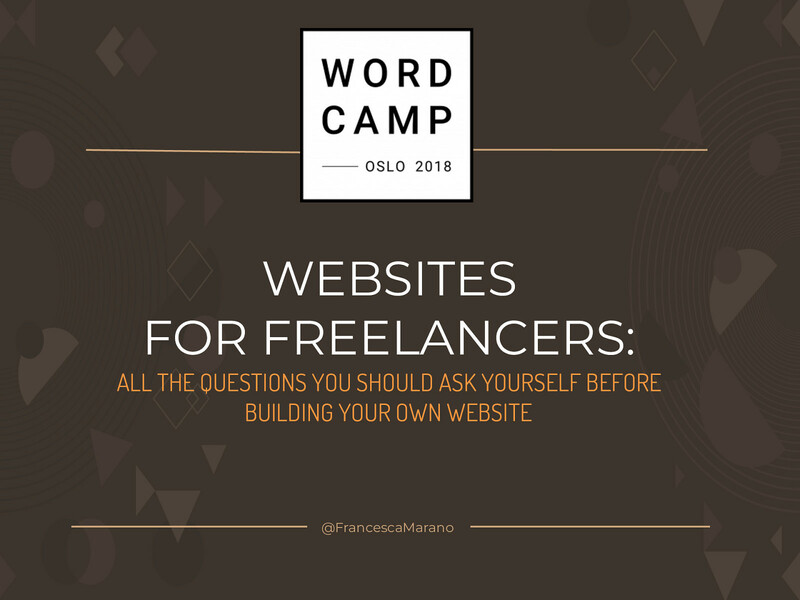 In this talk, I’ll explore common questions that freelancers have when deciding to build their own websites, and give some answers that will help you on your journey.